SCVHistory.com LW3176 | William S. Hart Museum | Vistor at Turret, ~1960s. 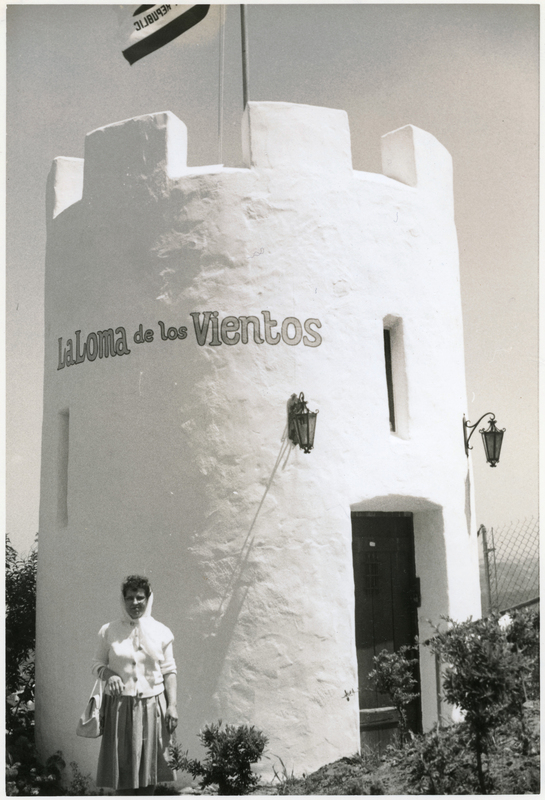 An unidentified visitor to the William S. Hart Mansion in Newhall ("La Loma de los Vientos," or "The Hill of the Winds") poses for a photo in front of the turret at the entrance. Date unknown; possibly late 1950s or 1960s. LW3176: 9600 dpi jpeg from original 3½x5-inch photographic print purchased 2018 by Leon Worden.